While the momentum of SUVs and crossovers in Canada and throughout North America is undeniable, Audi's continued focus on the luxury executive car segment shows that there's still room for innovation and enthusiasm in the market. The Audi S5, all-new for the 2018 model year, combines Audi's unmistakable attention to detail with enviable performance, creating a car that's as exciting to see in action as it is to drive. At Audi Langley, a proud member of the Gold Key Auto Group, we have the Audi S5 for sale that you've been waiting for -so choose a model you like and set up a test drive. We're open 7 days a week, so there's never a bad time to get started with us! How can the Audi S5 change the way you drive? 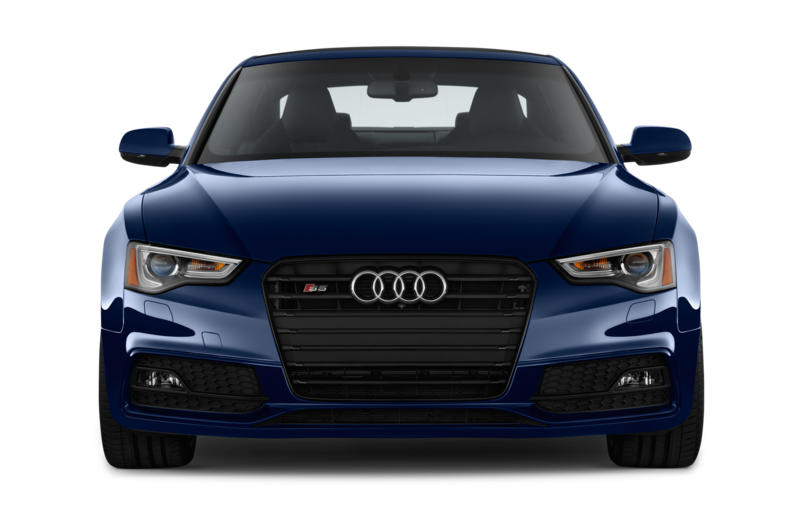 It begins with the 3.0L, 354-horsepower TFSI quattro engine, standard on all Audi S5 trims, that gives the S5 its edge in performance. And with quattro four-wheel drive on your side, you'll cruise through the curves of Metro Vancouver's roads with confidence and power. Suffice it to say, there's a lot to choose from where the 2018 Audi S5 is concerned. Choose from three three trims: the Coupé, the Cabriolet convertible, and the 5-door Sportback. From there, you can select three option packages - the performance-minded Sporty, tech-enabled Advanced, or jet-black Stealth - or simply roll your own, beginning with the luxurious Progressive or innovative Technik trim lines. When you work with the pros at Audi Langley, your Gold Key Auto Group experience is bound to be memorable! The value and excitement of the Audi S5's interior really can't be overstated. Where other manufacturers might be content to simply include the latest and greatest features without considering the impact on the driving experience, the engineers at Audi are dedicated to true ergonomic focus - putting everything you need exactly where you need it. The result is a unique fusion of contemporary innovations (including the 12.3-inch Audi Virtual Cockpit), invigorating power, and luxurious comfort. Built to drive - that's the Audi S5, available now at Audi Langley. Every drive presents its own unique blend of challenges, and the Audi S5 is equipped to meet them with a suite of state-of-the-art safety and security features. With Audi pre sense® basic on your side, sudden or emergency manoeuvres are that much safer, thanks to closed windows and sunroof, tighter seat belts, and more responsive brakes. Advanced pre sense® features include pedestrian and parked car detection, rear sensors to protect you during parking and passenger disembarking, and more. And if you'd like to drive a truly smarter luxury car, your S5 can even recognize traffic signs. Learn more about your options at Audi Langley. Getting a great deal on one of today's most exciting vehicles is a great feeling - but what's even better is knowing that you've had a team on your side from the very beginning that's dedicated to making the sales process smooth, informative, and empowering. At Audi Langley, we put the information you need in your hands - from enlightening vehicle profiles, to brochures, to knowledgeable sales professionals ready to answer any questions you might have. We've built our reputation in the Fraser Valley one customer at a time - and that's as clear from our customer testimonials as it will be whenever you interact with us. Choosing Gold Key Auto Group for a great deal on your next Audi S5 is a great idea, and you'll discover that it's our team that really makes the difference. The satisfaction of driving home in a painstakingly engineered new or pre-owned Audi S5 can't be overstated - but what's even better is knowing that your car's performance on day one can be extended for years to come. Choose our factory-trained service pros for a higher standard of support - from accessory installation, to regular maintenance and inspection, to repairs if and when you need them. Why look elsewhere when the best Audi technicians in the region are right here at Audi Langley? Encompassing a total of four locations - Audi Langley, Gold Key Leasing, Gold Key Isuzu Trucks, and the one that started it all, Gold Key Langley Volkswagen, Gold Key Auto Group has proudly served customers in Langley, Coquitlam, Surrey, and throughout the Metro Vancouver area for years with an unbeatable combination of comprehensive selection, parts and service, and a winning philosophy of customer interaction that makes every visit special. There's something for everyone at the Gold Key Auto Group family of dealerships - from the unparalleled refinement of new and pre-owned Audi cars and SUVs, to the unmistakable design and efficiency of Volkwagen, to the utility of Isuzu heavy duty commercial trucks. No matter which of our dealerships you choose, you'll experience service and savings that are a cut about the competition. Choose Gold Key Auto Group and you'll discover a team dedicated to making your purchasing experience smooth, stress-free, and rewarding. You'll be glad you did! I've been looking for a replacement for my 2006 Saab 92x Aero (Subaru WRX). I'm a picky customer and like to really get to know a car before I make an offer. I took a used Audi TT for a test drive with Penner. It was really refreshing to actually have a knowledgable car sales person in the car with me, compared to many of the duds I've encountered at other dealers. He knew the TT, the comparables and was more than happy to let me drive the car for a few extra minutes to get a good feel for it. I will not hesitate to go back if the right car comes along. 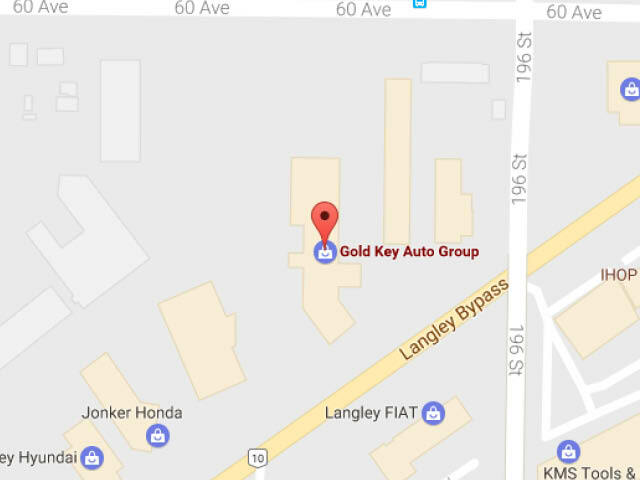 I went in as a young girl buying a new car for the first time and my experience with Gold Key Langley was nothing but wonderful. The staff there were super helpful, and my salesman, Derek Slobodian, explained everything to me, answered all my questions, and got me exactly the car I wanted. Not once did I feel like I was being pressured into a sale, pressured to get the more expensive models, or being taken advantage of. He understood my budget and worked with me to get the best car for the price I willing to pay. I absolutely love my new Jetta and I would highly recommend this dealership, and especially Derek, to anyone looking to buy a Volkswagen.